If there is one thing that we can all relate to, it's how frustrating it can be to keep track of our digital communication. Between email, social media, phone calls, and online chat, there are countless ways to communicate online. Trying to dig up the details of your last online interaction can be a challenge. One of the most frustrating aspects of this is Skype. How many times have you set a date, or been provided client requirements over Skype only to wish you had a way to go back and revisit this? For most users, these calls are not logged. Once you hang up the call, all of the information is lost. Fortunately, there is a solution. By recording your Skype calls, you'll always have documentation of your chat. Recording skype calls is easier than you think. Let's take a look at the simple step-by-step process of setting up your computer to record Skype calls. There is no built-in method to record calls on Skype. 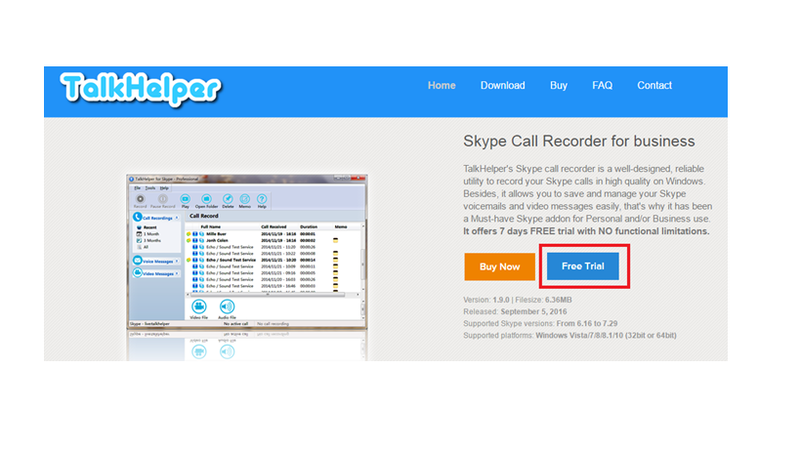 The first thing you're going to want to do is to download a Skype call recorder. Once you've saved the installation file, all you have to do is click the executable file and follow along with the prompts. Once the installation is completed, you can access the program at any time from the shortcut on your desktop. Before you're able to record any calls, you need to configure the software. While Skype is running, you'll want to launch the Skype call recording software. You'll see a yellow "application access" message requesting permission to access skype data. You'll need to select yes on this dialog. From this point onwards, the audio recording should be functioning. You're almost ready to go, but you'll want to first test this system out to make sure that it's functioning correctly. You can make a test call to "echo123." This service plays back your own voice to you so that you can confirm your microphone is working correctly. As soon as the call is established, you should see a notification in the bottom right of the program indicating that call recording is active. Once you complete the call, you'll see the audio file in your library. Double click this audio file to make sure that it plays back loud and clear. Audio and Video recording will be activated automatically. But if you're away from the computer, you might miss a video message. To keep things simple, you'll want all of this data to be saved in the same place. All you have to do is simply play back the video message in real time. It will automatically be added to your video library. It's more important than ever to keep track of our digital communication. Despite lots of consumer requests, Skype has not yet included the ability to record your calls. Fortunately, setting up your own software is a simple three step process. Once you've got it set up, you'll never again find yourself struggling to remember what exactly you discussed. Instead of taking notes during your calls, you'll be able to focus on the conversation, knowing that you've got a backup should you ever need it.